Best Monday Ever with our amazing young leaders and water safety ambassadors at Lake Pointe Elementary! 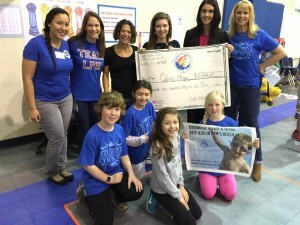 Their student council led Hope Floats Craft Fair which raised $1256.07 for Colin’s Hope and drowning prevention! We are so thankful for their efforts. Our crew of supporters that went to receive the big check included Colin’s mom Jana & Colin’s sister Kayla.